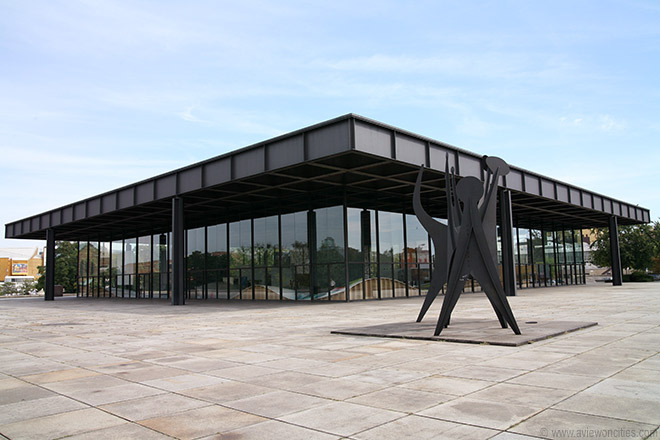 The Neue Nationalgalerie in Berlin was opened in 1968, shortly after the death of its architect Mies van der Rohe. Director Ina Weisse is the daughter of the architect Rolf Weisse, who used to work in the offices of Mies van der Rohe in Chicago. In numerous interviews with her father, Mies van der Rohe’s grandchild Dirk Lohan, the architect David Chipperfield—who is commissioned with renovating the building—and others, Ina Weisse explores the history and architectural significance of this important modernist landmark.